I am back! After months, I finally finished my tour of duty! I finally came back to normal life to rejoin my geek comrades who did a fantastic job on keeping allround geek live and kicking. Kudos EraserheadX and Ebenet! Army life was hard on my geek habits especially at first during the bootcamp. The last 6 months, or so, though, I got myself an android phone (HTC Magic) and things were not as bad. I still had very limited access to computers and a proper internet connection but Magic made my life much easier. 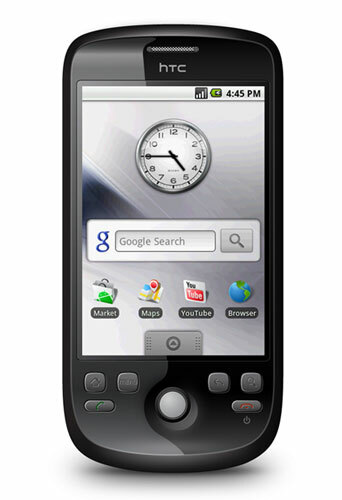 HTC Magic is a first generation android phone but has all the goodies on and is a very powerfull device. It features a 320x480 display, GPS, WiFi and 3G connectivity and a 528Mhz processor, but most importantly the android OS that offers all kinds of software packages for day to day activities. Normally, most people, do all their digital activities using a computer. Many have a smartphone but they are not forced to using only their phone. They will do some browsing on the go, play a casual game while they wait for the train and that's about it. They leave everything else for when they get home or at work. I was like that. I always had a smartphone (I was a big fun of the SonyEricsson P series with UIQ interface) but I have to admit that I was not using more than 20-30% of its capabilities. As any geek out there, though, I loved having such a fantastic gadget. But when I was stripped of the ability to use a proper computer all my digital life's burden fell on the poor Magic. Obviously, just because I did not have a computer available, it did not mean that I would stop communicating and reading the news. Fortunately for me, android phones sport a webkit based browser that does an admirable job. I had no trouble viewing most websites. Of course the occasional flash heavy site was a bit slow on the rendering but I blame the limi ted processing power of Magic. Modern android based phones(such as Nexus One or the HTC Desire) wont have any problem. But why am I complaining...iPhone users are not even able to view any sort of flash based graphics. The build-in android browser has tab functionality so I could load multiple pages and navigate through them with ease. Surfing on 3G though is a bit expensive but I got a nice data plan with 10 euros for 300MB per month, which is not bad at all. 300MB were more than enough for serious surfing everyday. Downloading stuff was out of the question though and when I had to download something (such as new application from android market) I had to limit my surfing, or did I? As most people I usually read specific websites, blogs and online newspapers. That is were Google Reader came to play. By adding all these websites on the reader I was able to save a significant amount of data since the reader only loaded the articles themselves and not all the other data and graphics on the websites. In addition, it is very convenient to go through a list of news instead of navigating from site to site and news article to news article. I strongly suggest using the Google Reader on any device or computer really, as it is very convenient to have everything in one place. I alost tried using the Opera Mobile browser that significantly saves data usage (up to 80%-90%) but I did not really like it. I found it more difficult to use and it just did not cut it for me. calls and sms as well. Magic being an android phone is able to organise all your contacts as google contacts. I sorted all my contacts with all their information (name, phone number, email address etc) and then synchronized with my google account. I am never going to loose my contacts ever again! Android offers a very convenient gmail application so receiving and sending emails was a breeze. It is a standalone application that synchronizes with the gmail account so I did not have to use that somewhat inconvenient mobile gmail website and using the application was significantly faster than any website through a browser would be. In addition a standalone gtalk client meant that I could chat to all my google contacts in real time as I would do through the gmail website. Even though I am not a big fun of MSN, I have many contacts there, so, I installed a free msn client (MSN Droid) that did an admirable job and was very easy to use. For my twitting needs the official twitter android application sufficed but I preferred the HTC one. Unfortunately, after twitter changed its login protocol a couple months back, the HTC application broke. Digital life does not only mean communication and information. It also means entertainment. Not having my playstation console, my music collection, my computer games and my bookshelves what could I do? HTC Magic to the rescue! I can honestly say that this small device managed to keep me entertained and then some! Magic having a microSD is able to load all sorts of media and of course loads of music. The music application on the Magic may not be as good as iTunes on iPhone and iPods, but it performs well and is easy to use. For video I used the yxPlayer with mixed results. What about games though? The android market is full of small gems to keep you entertained for hours. Of course, it is full of your usual fart apps as well, but finding the good games is not difficult thanks to the rating feature. Being an RPG fun myself I spend many hours playing a fantastic action-RPG named Zenonia. I strongly recommend it for anyone. The game is out for android phones as well a iPhone, PSP and Windows Mobile as well. Honorary mention goes to android chess, Abduction, Robo Defence and Speedx 3D since they are some games I thoroughly enjoyed. The most fun I had with the device though was with snesoid, a Super Nintendo emulator, that offered me countless hours of fun playing this classic console's gems such as Final Fantasy 6 and Chrono Trigger. 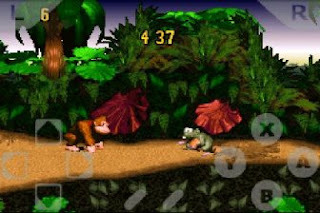 Donkey Kong Country on a mobile phone. Who would believe it? One of the most important roles of Magic in my army life was its role as an ebook reader. At first I was thinking that it would not be comfortable reading books from the small screen but, boy was I wrong. I finished many a books with ease without getting tired from the screen's size. I tried a selection of ebook reader applications but I settled for amazon's kindle application. It was very easy to use. I liked the configuration options for brightness, font size and its bookmarking options. Most importantly though I liked its great selection of books and the fact that I could synchronize everything with any device. That means that I can access the same books ,with all my bookmarks still there, from my macbook or any other current or future supported device. Everything is stored on my amazon account waiting to be synchronized. A few years back all this would not have been possible with a single device and it definitely would not have been cheap. The mobile devices are getting seriously powerful. Most importantly though, the mobile software platforms are getting friendlier and are supported by the developers and, thus, can offer us the tools to cover all our digital needs. I can't wait to see what's in store for the future mobile devices. Thank you HTC Magic, you have been a fantastic familiar. Oh...and it's great to be back! Good to have you back mate! More good info here.....I'll be back!